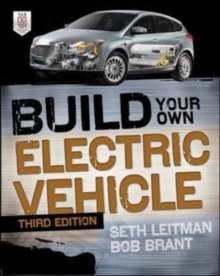 A Step-by-Step Guide to Building a Plug-In Hybrid Electric Vehicle from the Ground UpWritten by clean energy guru and electric vehicle expert Seth Leitman, this hands-on guide gives you the latest technical information and easy-to-follow instructions for building a plug-in hybrid electric vehicle (PHEV). 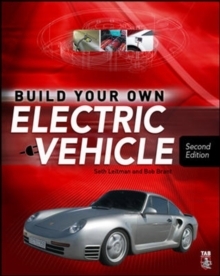 "Written by Seth Leitman, longtime green vehicle/sustainability expert and author of "Build Your Own Electric Vehicle," this 275-page book provides an overview of the technology and the issues in doing a conversion, and it works well as a different way in to the open source material that can be found at http://www.eaa-phev.org or the easier-to-remember http://www.priusplus.org." 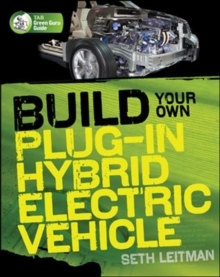 -- CalCars.orgBuild Your Own Plug-In Hybrid Electric Vehicle puts you in the driver's seat when it comes to hitting the road in a reliable, economical, and environmentally friendly ride. 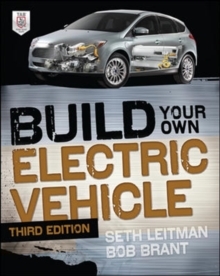 Inside, you'll find complete details on the hybrid powertrain and all the required components, including the motor, battery, and chassis. 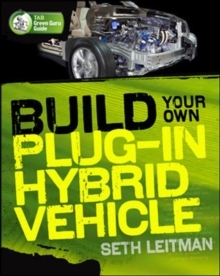 The book covers the plug-in hybrids currently on the market as well as hybrid conversion companies, conversion kits, and related resources. Pictures, diagrams, charts, and graphs illustrate each step along the way.